Hydraulic systems in steering can drain power from the engine and affect the performance and fuel economy of a vehicle. To overcome this, OEMs are gradually shifting from hydraulics systems to electric power steering (EPS). 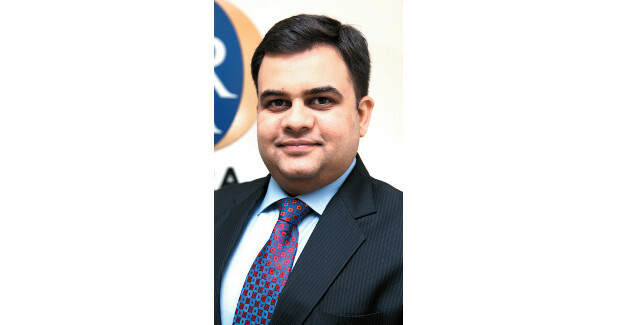 The EPS market in India is expected to grow at a robust CAGR over the next five years, says Neellohit Banerjee. Slowly and gradually, steering technologies have begun to transition towards automated driving. The most advanced engineering systems are for highly automated driving. There is the Society of Automotive Engineers (SAE) levels 3, 4 and 5 systems coming up. A study by ABI Research has forecast that the year 2025 will see eight million autonomous or semi-autonomous vehicles with SAE level 3, 4 or 5 capabilities sold. That means the driver will not be constantly surveying the driving situation. Automotive industry analysts in Europe and North America predict that higher adoption of electric power steering (EPS), steer-by-wire (SbW) and rear-axle steering will be some of the biggest drivers in the fast-evolving automotive steering systems vertical. For the period 2017-2020, a compounded annual growth rate of 8-10 per cent is predicted for the global steering systems market. Automotive steering wheel market in India is anticipated to experience a stable growth during the forecast period up to 2023. Steering technologies can be classified under two heads – normal steering wheel and control embedded steering wheel. They can be further sub-divided into steering wheel with air bags and steering wheel without air bags. “Steering wheels with airbags are made in rubber, plastic, wood, polyurethane. In modern cars, steering wheels are fitted with air bags through different technology. We manufacture only steering wheels in rubber, wood, plastic, polyurethane with horn systems without air bags,” reveals Naavniit Miterr, Managing Director, EMDET Engineers Pvt Ltd.
Over a period of time, there has been a telltale trend of OEMs moving from hydraulic to EPS systems keeping in mind lowering down the expense and complexity, and increased efficiency. There is a pump powered by the car’s engine that is used in hydraulic systems, with a control valve varying the amount of pressure generated by the pump. Hydraulics are capable of smoothening steering effort, thus simplifying it for the driver to manoeuvre the vehicle in heavy traffic, at slow speeds, or while parking the vehicle. Hydraulics do provide an upper hand in offering optimum feel and steering feedback, but they also drain power from the engine and can hurt performance as well as fuel economy. To overcome this, OEMs are gradually shifting from hydraulics systems to EPS, which resort to electric motors rather than a hydraulic pump to provide steering assistance. “Weight of the vehicle goes down and vehicle becomes lighter. Hydraulic is cumbersome since many parts are involved, so there will be cost reduction,” replied Miterr when asked about the advantage of EPS system. With the help of electronic sensors, it is possible to calculate the amount of steering force being applied by the driver. The steering is then made easier with that force by using electric motors. Most EPS systems are speed-sensitive, providing more assistance at lower speeds for easier manoeuvrability, and scaled-back assistance at higher speeds, for better stability. EPS systems offer another advantage, which is full compatibility with driving modes. So, for instance, EPS systems can offer gentler steering response in comfort mode and swifter reaction in sports mode. This would not have been possible to achieve in the hydraulics system. Hydraulic-based steering systems did provide a better feel, but EPS helps in the improvement of performance since they don’t need to use the power from the engine. Instead they draw their power from alternator, and as a result, can contribute in boosting fuel economy by upto 2-3 per cent. Steering wheel movement adopted by the driver, and torque sensors taking data from the front wheels were usually taken into consideration by the older EPS systems. Whereas newer, advanced systems use a complex set of data from the car’s ABS and traction control system. This data is used along with the driving mode selected to make sure a seamless steering response is effected, in all road and weather conditions. Apart from reduced cost and weight, EPS systems can also help bolster safety. These can be combined with a vehicle’s other electronics system and driver aids such as traction control, stability control, ABS etc., and react appropriately in case of oversteer or understeer. There are groundbreaking technological advancements in the domain of steering systems and we are hearing SbW and AWS will be the ones which would revolutionise the market. Moreover, there is also the SAE levels 3,4 and 5 systems coming up, which is for highly automated driving situations. If a human cannot solve a certain problem related to driving, these systems will act as steering solutions which can intervene for providing solutions. “Electric power steering is the steering system which is now being introduced in many vehicles in India. Steer-by-Wire (SbW) and all-wheel-steering (AWS) are mostly still in research and trial in North America and Europe; this has not come to India as of yet,” informs Miterr. While steering functions have been applied only to the front wheels, some OEMs have tried to go out-of-the-box and implement AWS. Systems that use all the wheels for steering can bring the turning circle at low speeds. This makes the vehicle more manoeuvrable and keep the vehicle stable at high speeds. While OEMs did experiment with this system in the 1980s and 90s, it wasn’t really a success. But due to the dynamic advantages that they offer now, they are being manufactured by leading tier-1 technology companies. The degree to which the rear wheels move with respect to the front wheels depends upon the electronic sensors that monitor various parameters. As a result, AWS possesses the ability to increase safety since they can increase the efficiency of anti-lock braking and traction control systems. There is also a growing tendency to focus on replacing mechanical linkages with electronic ones. Since drive-by-wire is already infiltrating into the vehicle segments, by-wire functionality in steering systems will not take much time to arrive. SbW eliminates the physical linkages between the steering wheel and the front wheels using electric signals. But OEMs have largely opted to use SbW in concept cars and prototypes. While SbW systems may not be fully competent yet, tier-1 technology suppliers and OEMs continue to work on developing these systems. In the future, they can help in light weighting, can be compliant to semi and fully autonomous systems and improve safety. India is yet to adopt AWS and SbW, and is slowly changing into EPS. The EPS market in India is expected to grow at a robust CAGR over the next five years. The contributing factors leading to the growth are growing vehicle sales, government stringent rule in India for vehicle weight and increasing vehicle production. In addition to that, increased demand for fuel-efficient and electronic systems in passenger cars make India the fastest growing EPS market. Based on type, the market is divided into column-assisted EPS, pinion-assisted EPS and rack-assisted EPS. R-EPS is projected to be the fastest growing market segment factored by the installation rate of EPS in commercial vehicles (CV), since R-EPS finds its use mostly in CVs. “There will be a tremendous transition in almost all segments such as small commercial vehicle, medium commercial vehicle, heavy commercial vehicle, farm equipment such as tractor, etc,” observes Miterr. In a year’s time, BSVI norms will be rolling out, which has led steering systems manufacturers to introduce new technologies that can reduce the systems’ weight, directly resulting in lesser emission. Moreover, initiatives such as National Electric Mobility Mission 2020 taken by the government to encourage production and adoption of hybrid and electric vehicle is predicted to create a better opportunity for the automotive steering wheel market in the coming years. Electric power steering is the steering system which is now being introduced in many vehicles in India. Steer-by-Wire (SbW) and all-wheel-steering (AWS) are mostly still in research and trial in North America and Europe, this has not come to India as of yet. - Naavniit Miterr,Managing Director, EMDET Engineers Pvt Ltd.